When bullfighting is perceived as a core part of national identity (e.g. in Spain) it brands a country's culture as violent and diminishes its international reputation. 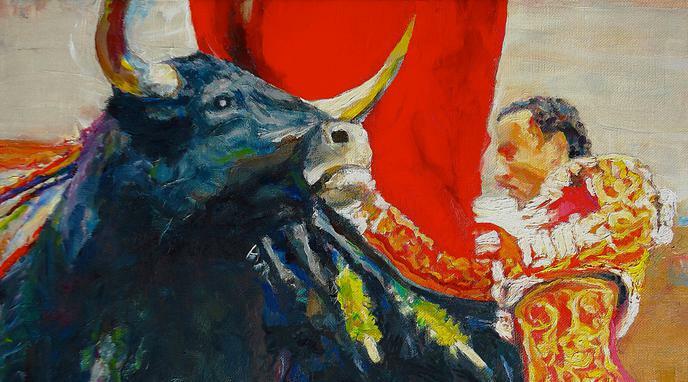 statistics show that only 19% of adults in Spain supported bullfighting, while 58% opposed it. chieftain-like state in the countryside), also play a role in the supporters side. Albeit a very traditional and old form of entertainment, bullfighting is not more than that and, from a moral point of view, individuals do not progress morally after watching an animal fight and die following his instincts. Only a brutal and violent society would consider bullfighting as part of their culture. Bullfighting represents a maladjusted display of ethnic identity and cultural identity. Large elements of society or societies that display maladjusted practices should have their leaders stopped, as matadors should be stopped, and should reconsider their moral compasses as a collective whole for supporting maladjusted and morally questionable practices. stereotypes and perpetuates myths about Spain with which many people do not identify. journalists were prevented from attending, which shows that organisers are aware their festival could be seen by outsiders as cruel and unethical, and wanted to minimalize bad publicity. Bullfighting sometimes attracts foreigners to Spain. The loss of reputation is a marginal concern, as there are no significant economic consequences. Countries with bullfighting traditions are not judged by those alone; their positive reputation also draws from many of their other rich cultural practices.